← Sponsor Announcement: Empire Toy Shop TBS6 Rex Raffle And More! Lucasfilm has announced that Star Wars Forces of Destiny is returning with two half-hour television specials that will debut on Disney Channel this October. Click through to read the full announcement and watch a brand new trailer! Moments both big and small shape our heroes destinies in two half-hour “Star Wars Forces of Destiny” television specials on Disney Channel in October. Featuring a total of eight never-before-seen installments, these specials showcase compilations of the popular animated shorts featuring Rey, Jyn Erso, Sabine Wren, Princess Leia, Ahsoka Tano and PadméAmidala, as well as new episodes including Han Solo, Hera Syndulla, Finn, Maz Kanata and many others. The first half-hour special debuts SUNDAY, OCTOBER 1 (8:00 p.m. ET/PT) followed by the second on SUNDAY, OCTOBER 29 (8:00 p.m. ET/PT) on Disney Channel and the Disney Channel App. 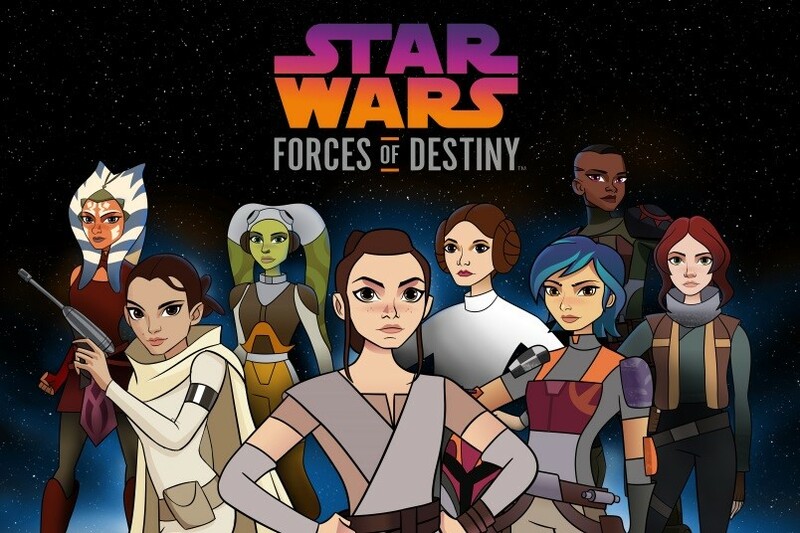 Developed by Lucasfilm Animation, “Star Wars Forces of Destiny” showcases how choices both big and small shaped the destinies of beloved characters. Talent from across “Star Wars” films and animated TV series reprise their roles – Daisy Ridley, John Boyega, Lupita Nyong’o, Felicity Jones, Tiya Sircar, Ashley Eckstein, Vanessa Marshall, Catherine Taber and Matt Lanter among others. “Star Wars Forces of Destiny” will also continue to be supported by global product extensions, such as Adventure Figures and role-play from Hasbro, apparel exclusive to Target, as well as books and comics from Disney Publishing. With the first eight installments launching digitally, these new shorts will also launch on Disney YouTube following the Disney Channel specials. Previous Article: Sponsor Announcement: Empire Toy Shop TBS6 Rex Raffle And More!